Private Prisons have existed on U.S. soil well before the Constitution was drafted. Dating back to 1607, Virginia convicts were transported by private entrepreneurs across the Atlantic as a condition to be pardoned if they agreed to be sold into servitude to private enterprise. Later in the 18th century, modern prisons were formed as an alternative to the death penalty and servitude. During the early years of the United States, privately operated jails were commonly utilized. Privatized correctional institutions such as these trace their roots back to medieval England. Over centuries of corruption the public’s attitude would change towards mixing the words private and prison together. Then much later in modern times, in the second half of the 20th Century, the private industry and prisons began to mix again to the modern age with more and more prisons falling to privatization1. Privatization occurs when the government outsources its responsibilities and services to the private sector. In recent years, presidential administrations such as the George W. Bush Administration have tried to increase the amount of privatization that occurs at the federal level. Services such as waste management, public education, and even prison and jail services, are starting to become increasingly privatized. Over the past decade and into the heat of the current economic recession, the concept of the government privatizing more services has been a widely supported idea. A major contributing factor for the strong support of privatization is the widespread public perception that the government typically spends more money than is necessary to carry out services than do private industry businesses. It is believed that through privatization, the government not only can save money but also may improve the quality of the services through privatization. While this general conception is true for most industries in which services are performed by private businesses, privatized correctional facilities have come under increasing scrutiny. A myriad of studies and reports have indicated that privatized prisons and jails have an increase in all assaults: inmate-to-inmate, guard-to-inmate, and inmate-to-guard. In addition, studies also indicate the health of private prisoners versus government prisoners is significantly worse. Gran and Henry focus on whose responsibility it is when assaults occur in prison. In general, it is the government’s fault for assaults in the public sector, but when it is in the private sector the business is at fault.6 The government is conducted in a way that is much easier to reform, such as hiring/firing new government officials and changing the bureaucratic atmosphere. Businesses, on the other hand, are much harder to reform. While the public and government can sue privatized prisons (such as for assaults and escapes) but suing the private prisons is not an effective way for helping them increase security measures. Privatized prisons are “profit-maximizers” with a strong incentive to make as much money as possible.7 Private prisons generally cut down on the amount of money that is spent by the government on security measures to prevent assaults. For example, when a private prison is successfully sued for a million dollars, that money comes directly out of their funds that they might otherwise use to provide inmate safety and other measures – which could very well lead to increasing assault incidents in the future. Funds are considered when drafting up budgets. Budgets in the private correctional institutions sector come from two sources: the government and private investors. The government is a steady source for funds, generally each fiscal year public agencies have to submit and draft budgets. Although funding can vary each year, it is considerably steady in comparison to the stock market, where some privatized prisons gain significant portions of their funds. The following example demonstrates the potential vulnerability of investor funding of privatized prisons. Suppose that the stock price of a large privatized prison corporation such as Corrections Corporation of America suffers a sudden and dramatic decline of 50 percent of its value due to speculators’ concerns over a pending lawsuit. Company-owned stock that would be used to help fund Corrections Corporation of America would be thwarted or at least adversely impacted. Private investor attitudes do not impact the budgets of government-operated prisons. If the prison had a more rigid screening process, this problem might have been avoided. The main problem private businesses run into when trying to take over a government business is to know when to draw the line and separate government processes and procedures for private processes and procedures. My review of multiple government and private prison websites revealed that individual applicants were required to complete more lengthy and extensive screening information when applying for government positions. Therefore, my suggestion is that privatized prisons should require more rigid employment restrictions and implement these screening procedures. With such substandard requirements for privatized prisons, prisons are more likely to attract and hire substandard guards. Substandard guards may not know how to handle situations with inmates as easily, likely resulting in more prisoner and guard attacks. Additionally, with less rigid screening and requirements, some applicants with former convictions and criminal backgrounds can fall through the cracks. The government might pass a federal law to have privatized prisons check their applicants’ backgrounds more thoroughly. The government takes several steps and measures to prevent these incidences such as these from happening. Generally speaking the government uses its legislative oversight power to investigate into public government entities such as the U.S. Post Office, welfare, or public prisons.15 However, the government uses less oversight with privatized prisons, for a major reason, private businesses are protected from the government searching through its records without probable cause. By the time the government has probable cause (i.e. 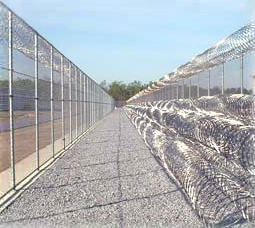 escapes, assaults, inmate deaths) the government is too late and cannot prevent the situation from happening. The U.S. prison population is continuously growing, and as a result the government needs to decide how to house the growing number of incarcerated. For the last few years the U.S. economy has experienced a deep recession, leaving capital resources tighter than ever for government entities and agencies. Over the years, the government has looked to save money through privatization. Privatization of government entities can heed great results of private businesses by using less money while improving the service the government once provided. Whether or not the government should privatize prisons is highly debatable. Some surveys indicate that the United States government could only save about 1 percent of the money while some proponents argue that privatizing prisons could save the government up to 20 percent of the money the U.S. spends on incarceration of inmates with other studies. Privatized prisons have been shown to have a higher maintenance levels, better counseling, low cost labor, and are cheaper to house inmates in. But on the other hand, private prisons have been shown to have higher assault rates, lower health, and food quality and a substandard staff. The legislation should pass acts to give the government more power into giving the legislature more oversight with privatized prisons. In order to decrease the number of assaults, privatized prisons should implement the government’s qualifications for prison guards on the federal level into their qualifications. Privatized prisons should adapt as many of its policies of the public administration as they can before they start losing money. Their job is to replicate the U.S. prison system, a system that has centuries of history that have better created it over time. Private companies that cater to running correctional facilities need to work in close ties with other public prisons to learn how to run a prison correctly so they do not end up with incidences, such as the one that occurred in Coke County Juvenile Justice Center. Privatized prisons have a past, recent, and debatable place in America. 5. Gran, B., & Henry, W. (2007/2008). Holding Private Prisons Accountable A Socio-Legal Analysis of “Contracting Out” Prisons. Social Justice, 34 (3-4) 173-191. 10. Austin, J., & Coventry, page 24. 15. Denhardt, R. B., & Denhardt, J. V. (2009). Public Administration: An Action Orientation. Belmont: Wadsworth Pub Co., pages 64-65.